This article is about the Michael Jackson song. For the Grey's Anatomy episode, see Remember the Time (Grey's Anatomy). "Remember the Time" is a 1992 single by American singer and songwriter Michael Jackson. It was released by Epic Records on January 14, 1992, as the second single from Jackson's eighth studio album, Dangerous. The song was written and composed by Teddy Riley, Jackson and Bernard Belle, and produced by Riley and Jackson. "Remember the Time" was a successful attempt by Jackson to create a dance-oriented, new jack swing-flavored jam with the assistance of co-producer Riley. The song's lyrics are written about remembering having fallen in love with someone. "Remember the Time" was generally well received by contemporary critics. The song was commercially successful, peaking at number three on the Billboard Hot 100 singles chart and number one on the Billboard R&B singles chart. Internationally, the song was a top ten hit in nine countries, peaking at number one in New Zealand, at two in Spain and three in the United Kingdom. A nine-minute music video directed by John Singleton, marketed as a "short film", was released for the song. The video is set in Ancient Egypt and features appearances of Jackson, Eddie Murphy, Iman, Tommy "Tiny" Lister and Magic Johnson. "Remember the Time" was written by Teddy Riley, Michael Jackson and Bernard Belle, and was produced by Riley and Jackson. It was recorded at Record One Studios. It was released as the second single from Michael Jackson's eighth studio album, Dangerous, on January 14, 1992. "Remember the Time" is three minutes fifty nine seconds long. The song's music was compared to Jackson's 1979 single, "Rock with You" from his Off the Wall album. Co-writer Teddy Riley stated in a 1996 Los Angeles Times interview that he was inspired to write the song after hearing Jackson describe how he had fallen in love with his soon-to-be wife, Debbie Rowe. However, in a 2011 reply to a fan on Twitter, Riley denied that the song was about Rowe. Others have noted that when the single was originally released in 1992, Jackson dedicated the song to Diana Ross. "Remember the Time" is a new jack swing song. The lyrics recall a youthful love affair: "Do you remember when we fell in love/We were young and innocent then". The song is set in the key of F dorian with Jackson's voice range from Eb3 to C6. The song's tempo is moderate at 116 beats per minute. "Remember the Time" was rehearsed for the Dangerous World Tour, but it was ultimately cut due to wardrobe malfunctions. At the 1993 Soul Train Music Awards, the song won the award for Best R&B/Soul Single - Male. Jackson appeared with an injured foot and on crutches, but was able to perform the song seated in a chair, surrounded by dancers. "Remember the Time" was generally well received by contemporary music critics. Martin Short, a writer for Allmusic, commented that the album Dangerous had "plenty" of "professional craftsmanship at its peak" because of "such fine singles" like "In the Closet" and "Remember the Time". Erlewine listed "Remember the Time" as being a highlight from Dangerous. Alan Light, a writer for Rolling Stone, stated that he felt "Remember the Time" was the "most lighthearted musical track on the album" and described the song's lyrics as telling of a "blissful romance only to ask, 'So why did it end?'" Jon Parales of The New York Times commented that "titles like 'Remember the Time', 'She Drives Me Wild' and 'Give in to Me'" tell the lyrics' "whole story - though they don't suggest the wretched tone he has when he sings them." 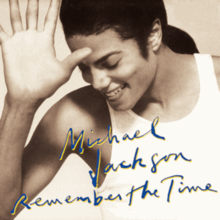 Richard Harrington, a writer for The Washington Post, described "Remember the Time" as being "wistful," commenting that he felt that the song featured Jackson's "least affected vocal performance" but that it "builds an engaging, radio-friendly momentum". "Remember the Time" peaked at number three on the Billboard Hot 100 on March 7, 1992, five weeks after the single release. The song saw similar success on other Billboard charts; topping the R&B/Hip-Hop Songs on March 7, and peaking at number two in Dance/Club Play Songs on April 4, 1992, and number 15 in Adult Contemporary on March 21 in the same year. The song peaked at number two on Billboards Hot Dance Music/Maxi Singles Sales. It was certified Gold by the Recording Industry Association of America for the shipment of over 500,000 units in the United States in March 1992. The song saw similar commercial success internationally, charting in the top 20 in all major territories at the time of its release. In the United Kingdom, "Remember the Time" first entered the chart on February 15, 1992, placing at number six. The following week, on February 22, the song charted at number three, where it peaked; the song remained on the charts for a total of eight weeks. "Remember the Time" topped the New Zealand charts for two consecutive weeks, having first entered the chart at number three on February 23. It peaked at number four in the Netherlands and Switzerland. The song also charted within the top ten on the French, Australian, Swedish, Italian, and Norwegian charts; peaking at number five, six, eight and ten. It charted in the top 20, peaking at number 16, in Austria. Having been re-issued for Jackson's Visionary campaign in 2006, "Remember the Time" peaked at number two in Spain on the charts issue date on May 14, 2006. After Jackson's death in June 2009, his music saw a surge in popularity. In the United Kingdom, on the chart of July 11, the song re-entered at number 81. As part of promotion for "Remember the Time", a music video, which was filmed in mid-January 1992, was released. Prior to the release of the video, Jackson's record label promoted it by releasing clips, as well as releasing behind the scenes clips of making the video. The nine-minute video was promoted as a "short film". It premiered on MTV, Fox and Black Entertainment Television on February 2, 1992. After the video premiered on MTV, the channel aired a "rockumentary" called "More Dangerous Than Ever" which included glimpses of the making of the video. Jackson's record label would not release the video's budget figures. Directed by John Singleton and choreographed by Fatima Robinson, the video was an elaborate production and became one of Jackson's longest videos at over nine minutes. It was set in ancient Egypt and featured groundbreaking visual effects and appearances by Eddie Murphy, Iman, The Pharcyde, Magic Johnson, Tom "Tiny" Lister, Jr. and Wylie Draper, who portrayed Jackson as an adult in the made-for-TV movie The Jacksons: An American Dream and died shortly after appearing in this video. The video also featured Michael's first on-screen kiss. Jackson appears in the video as a hooded wizard who enters an Egyptian palace and attempts to entertain the Pharaoh's bored Queen. Two other entertainers have failed, and she has sent them to be executed. The Queen sees that this wizard is different — instead of juggling or eating fire, he walks up the steps to her throne and sings to her, asking her if she "remembers the time" they were together. The Pharaoh (played by Murphy) hardly appreciates this move and summons his guards. Jackson runs away to another room and begins elaborate, Egyptian-style choreography with the Pharaoh's servants. When the guards find him, Jackson turns into golden sand. In the video, Jackson was dressed in a costume made of gold satin. He wore golden chain mail, a white skirt with a phallic dangling sash, black pants and black boots. This video features a physically complicated dance routine that became the centerpiece of other videos from the Dangerous album. The music video was generally well received by music critics. Ira Robbins of Entertainment Weekly described the "Remember the Time" video as being a "gorgeous ancient Egyptian extravaganza". The music video appeared on the video albums: Dangerous – The Short Films, Video Greatest Hits – HIStory and Michael Jackson's Vision. The music video, along with other videos from Dangerous, was frequently shown on MTV. ^ a b c d e f g Parales, Jon (February 4, 1992). "Review/Video; Michael Jackson's Costly New Promotional Clip". NYTimes.com. The New York Times Company. Retrieved February 11, 2010. ^ Cheo Hodari Coker (1996-11-24). "Mr. New Jack Swings Back". Los Angeles Times. Los Angeles Times. Retrieved 2010-10-28. ^ Riley, Teddy (2011-08-18). "Hell to da nooooooo...not Debbie". Twitter. Retrieved 21 April 2014. Hell to da nooooooo...not Debbie. ^ David Browne (1994-01-14). "Sound Effects". EW.com. Time Warner Inc. Retrieved 2010-02-11. ^ a b "Remember the Time - Michael Jackson Digital Sheet Music (Digital Download)". MusicNotes.com. Alfred Publishing Co. Inc. Retrieved 2010-02-11. ^ a b Stephen Thomas Erlewine. "allmusic (( Dangerous > Overview ))". Allmusic.com. Rovi Corporation. Retrieved 2010-02-10. ^ Alan Light (1992-01-09). "Dangerous : Michael Jackson : Review". RollingStone.com. Wenner Media LLC. Retrieved 2010-02-10. ^ Pareles, Jon (1991-11-24). "Recordings View; Michael Jackson in the Electronic Wilderness". NYTimes.com. The New York Times Company. Retrieved 2010-02-10. ^ Richard Harrington (1991-11-24). "Article: Jackson's `Dangerous' Departures; Stylistic Shifts Mar His First Album in 4 Years". HighBeam.com. The Gale Group, Inc. Archived from the original on 2012-11-03. Retrieved 2010-02-11. ^ a b "Click to PlayClick to Play VideoRemember the Time - Michael Jackson". Billboard. Nielsen Business Media, Inc. Retrieved 2010-02-10. ^ "allmusic ((( Michael Jackson > Charts & Awards > Billboard Singles )))". Allmusic.com. Rovi Corporation. Retrieved 2010-02-10. ^ a b "Gold and Platinum". RIAA.com. Recording Industry Association of America. Retrieved 2010-02-28. ^ a b c d "The Official Charts Company - Remember The Time by Michael Jackson Search". The Official Charts Company. 11 July 2013. ^ a b "Michael Jackson - Remember the Time (song)". Charts.org.nz. Hung medien. Retrieved 2010-02-10. ^ a b c d e "Michael Jackson - Remember the Time (chanson)". LesCharts.com. Hung Medien. Retrieved 2010-02-10. ^ a b c "Michael Jackson - Remember the Time (song)". SpanishCharts.com. Hung Medien. Retrieved 2010-02-10. ^ "NEW MICHAEL JACKSON VIDEO DUE FEB. 2". hiladelphia Inquirer. January 21, 1992. Retrieved May 27, 2010. ^ The Philadelphia Inquirer (January 21, 1992). "New Michael Jackson Video Dub Feb. 2". Nl.Newsbank.com. News Library. Retrieved February 11, 2010. ^ a b Ira Robbins (1993-12-17). "Michael Jackson Video Greatest Hits -- HIStory". EW.com. Time Warner, Inc. Retrieved 2010-02-10. ^ a b Lisa Schwarzbaum (1993-12-17). "Dangerous: The Short Films". EW.com. Time Warner, Inc. Retrieved 2010-02-10. ^ a b Hung Medien. "Remember the time in Australian Chart". Retrieved 20 June 2013. ^ "Michael Jackson - Remember the Time (song)". AustrianCharts.com. Hung Medien. ^ "Remember the time in Belgian Chart". Ultratop and Hung Medien. Retrieved 11 June 2013. ^ "Top RPM Singles: Issue 2078." RPM. Library and Archives Canada. Retrieved June 15, 2017. ^ "Top RPM Dance/Urban: Issue 2086." RPM. Library and Archives Canada. Retrieved June 15, 2017. ^ "Remember the time in German Chart". Media control. Retrieved 11 June 2013. ^ "Indice per Interprete: J". HitParadeItalia (it). Retrieved 20 June 2013. ^ "Remember the time in Dutch Top 40". Nederlandse Top 40. Retrieved 20 June 2013. ^ a b c "Remember the time in GfK Dutch Chart". Hung Medien. Retrieved 20 June 2013. ^ "Michael Jackson - Remember the Time (song)". NorwegianCharts.com. Hung Medien. ^ "Notowanie nr527". Nowe Media, Polskie Radio S.A. LP3.polskieradio.pl. Retrieved July 18, 2018. ^ "Michael Jackson - Remember the Time (song)". SwedishCharts.com. Hung Medien. ^ a b "Swiss Singles Chart Archives". HitParade.com. Hung Medien. Retrieved 2010-02-11. ^ "Michael Jackson: Artist Chart History". Official Charts Company. Retrieved June 15, 2017. ^ "Michael Jackson Chart History (Hot 100)". Billboard. Retrieved June 15, 2017. ^ "Michael Jackson Chart History (Adult Contemporary)". Billboard. Retrieved June 15, 2017. ^ "Michael Jackson Chart History (Dance Club Songs)". Billboard. Retrieved June 15, 2017. ^ a b "Dangerous awards on Allmusic". Allmusic. Retrieved 20 June 2013. ^ "Michael Jackson Chart History (Hot R&B/Hip-Hop Songs)". Billboard. Retrieved June 15, 2017. ^ "The Irish Charts – Search Results – Remember the Time". Irish Singles Chart. ^ "Michael Jackson - Remember the Time (song)". ItalianCharts.com. Hung Medien. ^ "Michael Jackson". Official Charts Company. Retrieved 20 June 2013. ^ a b "Aria 50 Top Singles Charts". Australian Recording Industry Association (ARIA). July 6, 2009. Archived from the original on September 17, 2010. Retrieved July 10, 2009. ^ a b "The Official New Zealand Music Chart". Recording Industry Association of New Zealand (RIANZ). July 6, 2009. Archived from the original on June 21, 2007. Retrieved July 10, 2009. This page was last edited on 3 April 2019, at 03:51 (UTC).